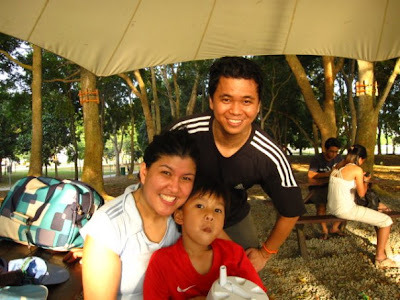 A few months after we landed in Singapore, we went on a grand adventure... A Forest Adventure. It was a 2 hour (depending on how slow you are) trek high up in the tree tops. At the end of it, I felt like a well-wrung rag, ready to hit the showers and then head for the nearest Arnold's Chicken. 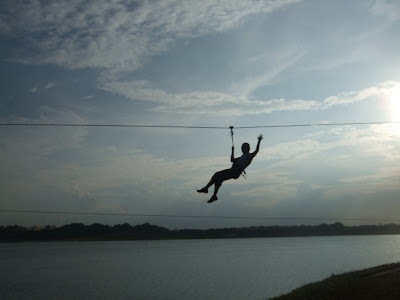 We all had a feeling of exhilaration at the fact that we had made it through the barrels, tiptoed on the tightropes, swung like tarzen to "spiderman's web", and zipped from one end of the course to the other. It was a wonderful wonderful bonding experience that I highly recommend to friends and family. 1 adult can supervise 1 junior under 18 and 2 juniors if at least one of them is 14 and above. Alternatively, 2 adults can supervise 3 children between them. 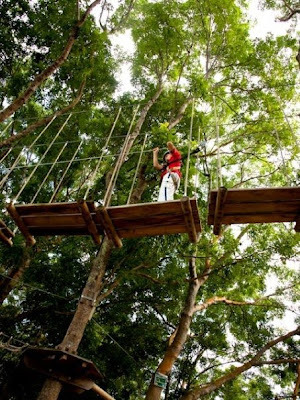 Looking forward to welcoming you for some TREEmendous Adventures.